Immunization can protect your child’s life: Advances in medical science helps to give protection to your child from various diseases. Earlier certain diseases used to injure or kill thousands of children however with the help of vaccination those diseases have been eliminated completely or some of them are close to being gone. Example: Polio was one of the most dangerous disease causing death and paralysis across the globe. However, due to vaccination, the disease is almost eradicated from the country. Vaccines are safe and effective: Vaccines are administrated to the children after a long and careful review by doctors and scientists. 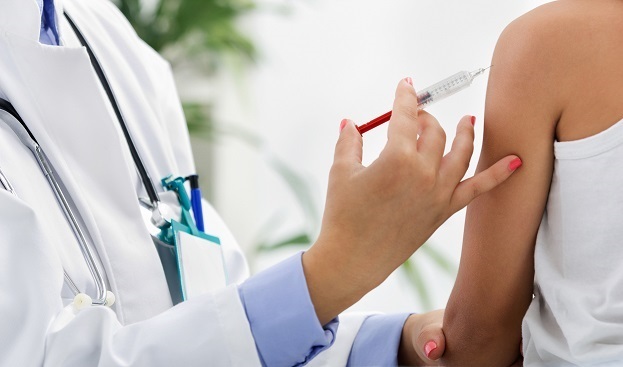 Immunization involves some discomfort including pain, redness or However, this is minimal than the pain and discomfort of the diseases in actual. Serious side effects post vaccinations including allergic reactions are very rare. Immunization gives protection to others: There are certain vaccine-preventable diseases still occur. Newborn babies are too young for the vaccination, and some people cannot receive vaccine due to allergies, illness, weakened immune systems or other reasons. Hence, you and your child should get vaccinated which will help to keep safe these individuals. This way Immunization not only protects your family but also prevents the spread of these diseases to friends and loved ones. Immunization can save your family and money: Prolonged illness due to vaccine-preventable diseases can affect financial conditions because of lost time at work, medical bills or long-term disability care. Hence, getting vaccinated against these diseases is found to be useful. IAP- Immunizeindia is the world’s largest vaccination reminder service. The service is available free of cost to parents resides anywhere in India. Immunization gives protection to future generation: Many diseases which killed or severely disabled people a few generations before, now have been reduced or eliminated through vaccination. For example, small pox has been eradicated globally. Present generation children do not have to get smallpox vaccine because the disease has been eradicated. Thus if present generation children are vaccinated, parents in the future may be able to trust that diseases including polio and measles would not infect or kill children.